In fact, a mirror that’s placed correctly can make a room appear bigger and the largest ones can have the greatest effect. Therefore, never scrimp on mirror size for a small room. Since one of the greatest advantages of mirrors are that they brighten a room, place mirrors close to light fixtures or lamps to reflect natural light. There are a wide range of decorative mirrors available in many sizes, finishes and colors to enhance any style or décor, making your interiors more dynamic and appealing. There are infinite possibilities with traditional, casual, rustic, and modern styles made to complement any room. Additionally, mirrors come in many different shapes, such as square, oval, circular, rectangular, or any other configuration limited only by your imagination. Check out DECOLAV's Mirror selection here. Mirrors can vary from the highly ornate to sleek and contemporary. They can be can be mixed and matched, placed in rows, offset, or set to face each other. For artistic effect, they can be varied in size, shape, or be hung asymmetrically. For a more formal approach, they may be arranged symmetrically. Beautiful mirrors can also act as wall art, adding a stylish focal point. These chic mirrors should offer the highest quality and design, giving your room a high-end upgrade. However, a simple frame may suit the room’s design theme best. Whatever space or style you’re working with, mirrors are a great and easy way to incorporate your distinctive design style. Having a professional work with you to provide advice and options can make planning easier. 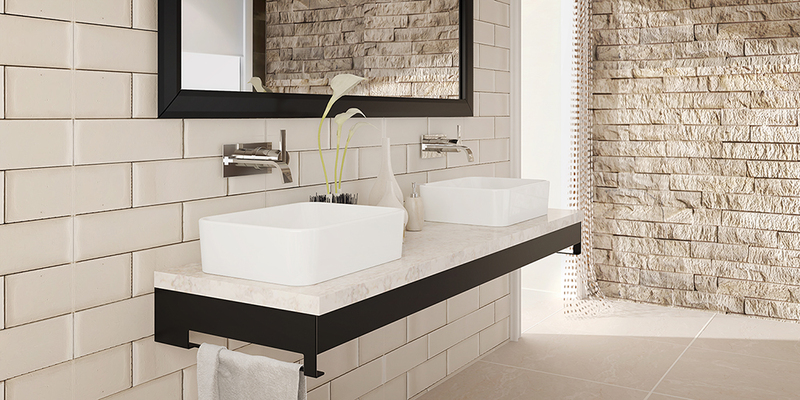 As the experts in both residential and commercial bathroom furniture and fixtures, DECOLAV can help you add affordable style and harmony to your bathroom. If you would like more information on how DECOLAV can help you use our beautiful mirrors to make your bathroom into a lighter, brighter feeling, and more stylish room, visit www.DECOLAV.com today.